They are hot, hot, hot!! Hot rivets that is! Create both a pair of earrings and pendant while learning the secret of creating these hot rivets. 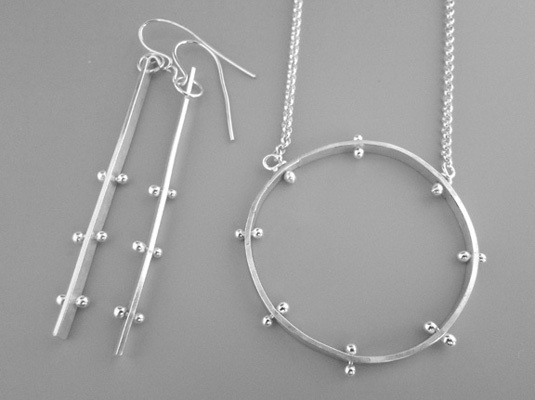 We will work in sterling silver and fine silver. Finish with a simple sterling chain and lobster clasp.